In an extraordinary career spanning half a century, the writer traveled as a self-described “barefoot colonial” from rural Trinidad to upper class England, picked up the most coveted literary awards and a knighthood, and was hailed as one of the greatest English writers of the 20th century. 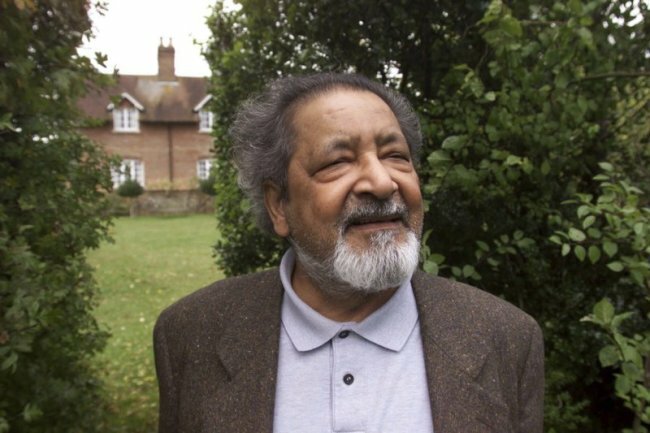 Naipaul’s books explored colonialism and decolonization, exile and the struggles of the everyman in the developing world — themes that mirror his personal background and trajectory. Although his writing was widely praised for its compassion toward the destitute and the displaced, Naipaul himself offended many with his arrogant behavior and jokes about former subjects of the empire. “These people want to break my spirit ... They want me to know my place,” he wrote bitterly to his wife. In 1961, Naipaul published “A House for Mr. Biswas,” which was widely acclaimed as a masterpiece. That novel, about how one man’s life was restricted by the limits of colonial society, was a tribute to Naipaul’s father. He also continued to publish award-winning novels. “The Mimic Men” won the W.H. Smith Award in 1967, and in 1971 “In a Free State,” a meditation on colonialism in Africa, was awarded the Booker Prize. Two months after Hale died, Naipaul married his second wife, Pakistani newspaper columnist Nadira Khannum Alvi. Naipaul’s later books lost their playful humor, and some say much of their appeal.